When I make food I always end up making way too much, even when I do cut the recipe in half. A easy meal to portion out is salmon. You can buy a large filet at the grocery store, take it home, and cut it into portions for freezing. That is what I ended up doing for this Honey Baked Salmon recipe. To freeze, cut your filet into strips about 2-3 inches wide (or however wide you’d like your portions to be. Then, place each piece in the bottom of a freezer bag. Roll the bag up from the bottom to squeeze the air out, then seal the bag. It is now ready for the freezer! Thawing is simple too. Remove a serving from the freezer and place in a bowl of luke warm water for about 30 minutes. Salmon is my favorite fish to eat. I seek out wild caught salmon only because it doesn’t contain nasty antibiotics like the farmed salmon does. Salmon is also quick and versatile. 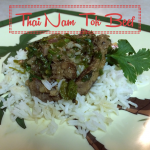 It can be baked, pan seared, broiled, grilled, or poached. It works well with sweet or spicy, and even a tart citrus. Eat it as is, or mix it in salads, pastas, or use it in sandwiches. 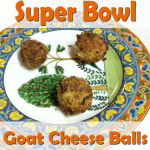 It’s great with eggs too! It sounds like I’m trying to sell it. You can obviously tell how much I like it! 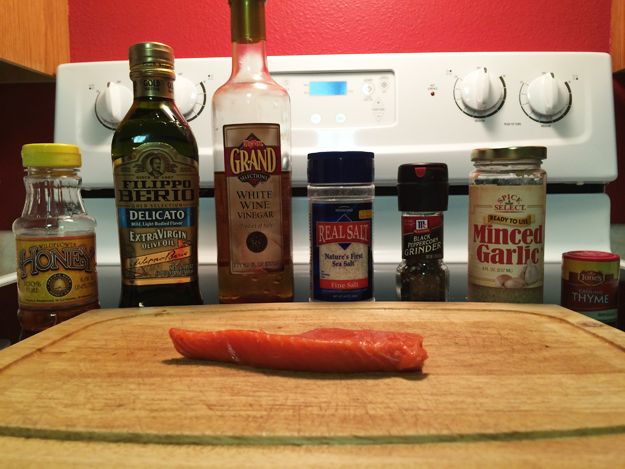 Start your preparation by thawing your salmon and setting out your ingredients. You’ll need honey, extra virgin olive oil, white wine vinegar, salt, pepper, minced garlic, and thyme. You can use fresh, but I used the ground variety for convenience. Measure out all of the ingredients in the amounts below, and mix them together in a bowl. I know…it looks a bit weird, but trust me! It’s good! Line a cookie sheet or pie pan in foil and place your salmon in it. Pour the honey mixture over the fish so it is coated. 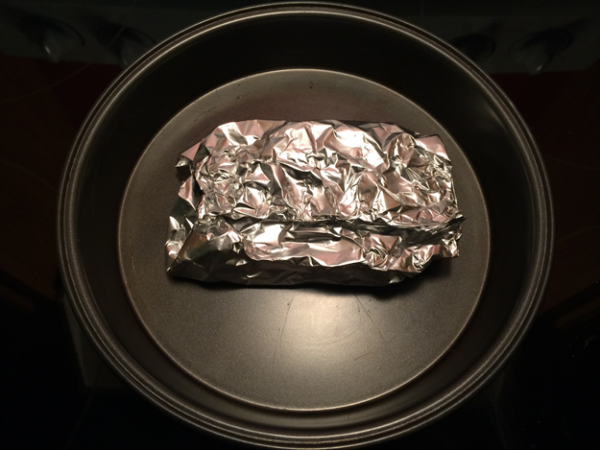 Fold the foil over the filet and wrap it up nice and cozy. Then, pop the pan into your preheated oven at 375F for 15 minutes. You will end up with this! There ended up being a bit more glaze than I needed, but that is ok. Just take the baked salmon out, plate it, and spoon a teaspoon or two of the leftover sauce over the fish. It also looks as if there is a lot of minced garlic. It wasn’t excessively garlicky though. 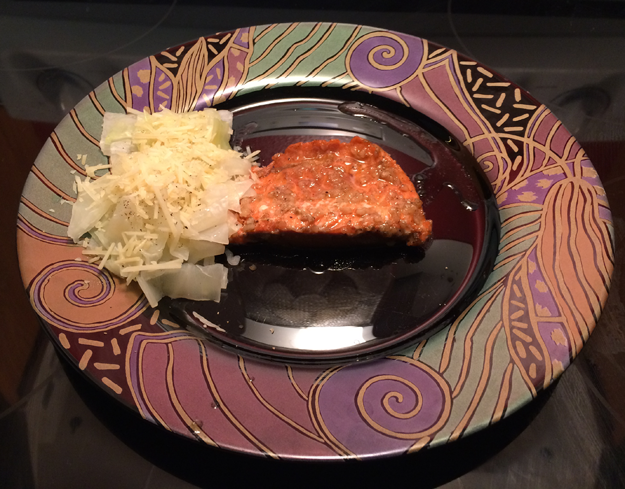 I accompanied it with some simple boiled cabbage topped with melted butter and Parmesan cheese. 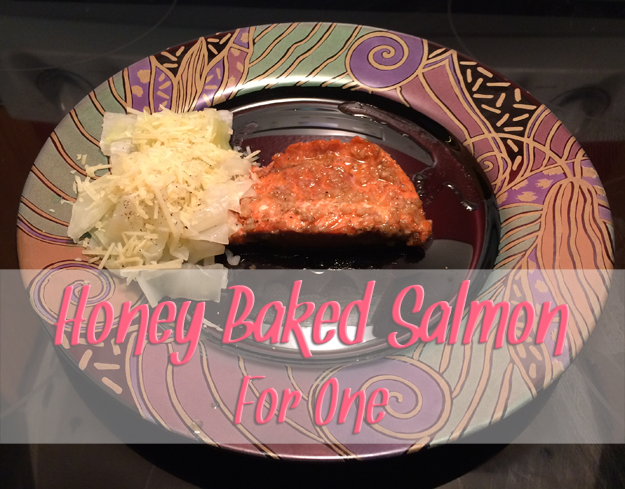 This honey baked salmon is delicious! The flavors go together so well! They have a nice balance and compliment the fish. I will have to try grilling this one day! Remove wild caught salmon from freezer and thaw if necessary. 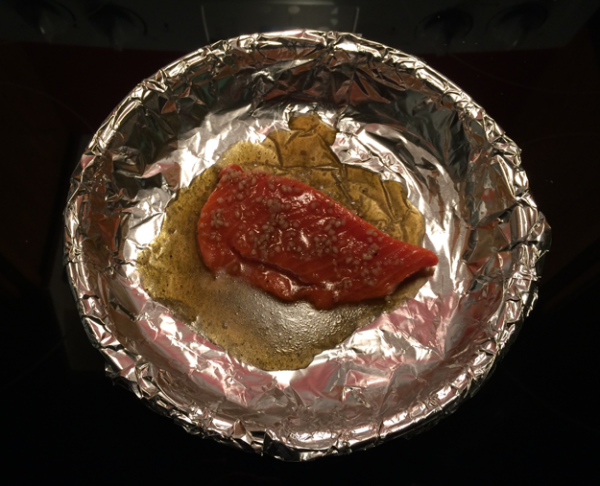 Preheat oven to 375 degrees F.
Cover cookie sheet or pie pan with foil and place thawed salmon on foil. 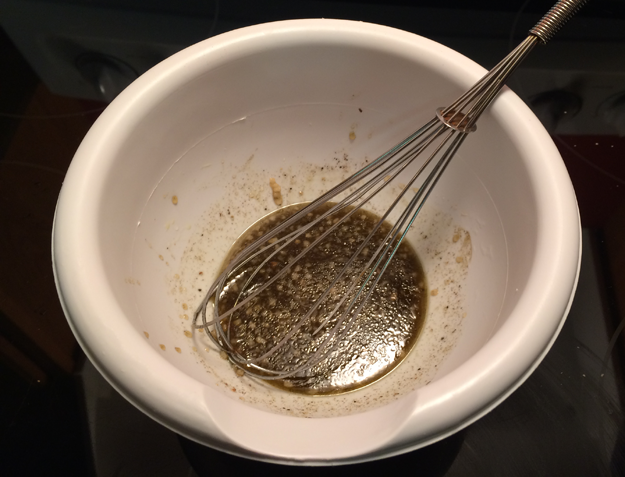 Mix together the honey, garlic, olive oil, white wine vinegar, thyme, salt, and pepper in a bowl with a whisk. Pour mixture over salmon filet and make sure the salmon is coated. 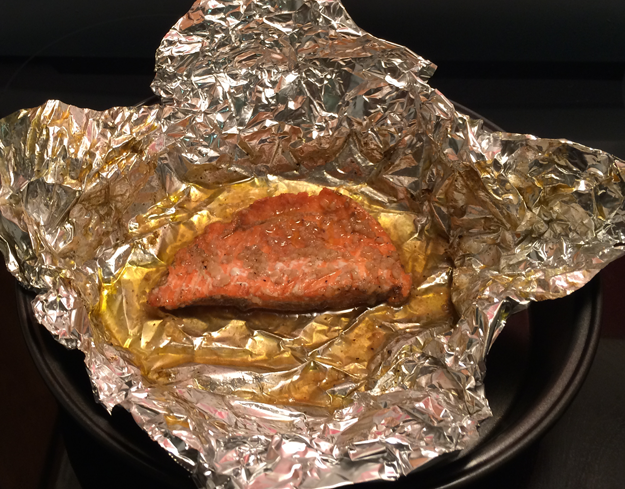 Wrap the foil around the salmon and seal the edges to make a packet. Place pan in the preheated oven and bake for 15-20 minutes. 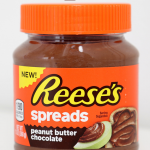 November 6, 2014 Reese’s In A Jar? !